As of November 1, 2018, the median family income levels utilized by the United States Trustee Program have changed. Florida’s figures have risen, which, generally, will benefit individuals who are in need of debt relief. 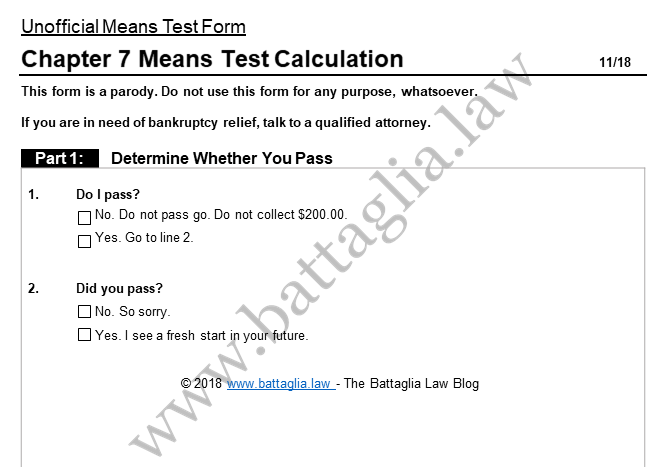 The median income information is used by the bankruptcy court and the various players therein when determining whether or not an individual qualifies for chapter 7 bankruptcy relief (as opposed to relief under another chapter, such as chapter 13). This data comes from the United States Census Bureau and is updated regularly based upon the Consumer Price Index for All Urban Consumers. Note that being either above or below the applicable median income figure for your household size can be a good indicator of whether or not you should file a chapter 7 bankruptcy case, though it is far from the only factor to be considered. Your entire situation should be reviewed by an experienced bankruptcy attorney for such a determination.